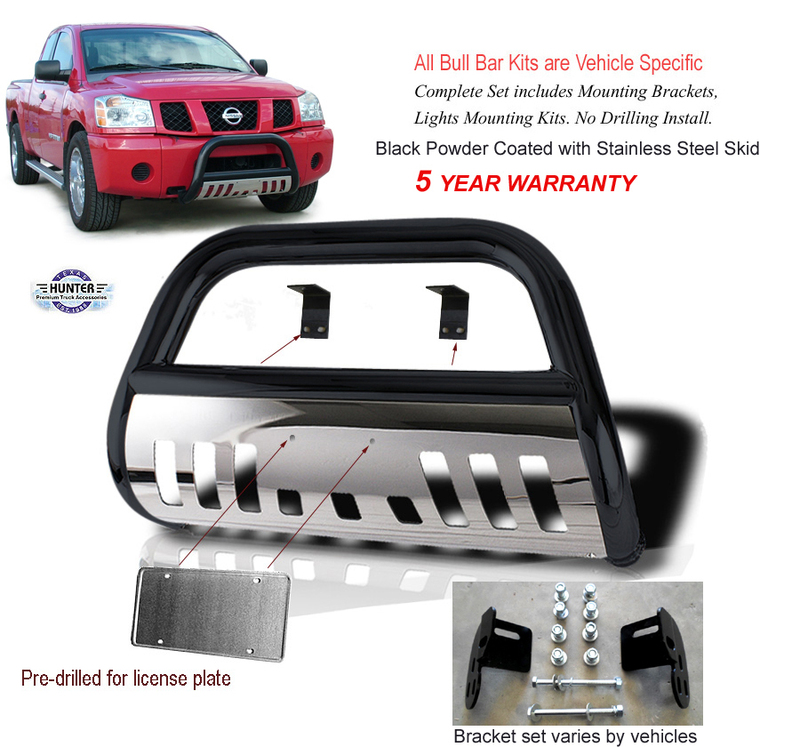 Hunter Bull Bar adds a tough look to trucks and SUVs while offering extra grill protection! Manufactured from cold rolled carbon steel with a tough black powder coat finish. This unit will give your vehicle a customized look! Product application is vehicle specific and comes complete with a mounting kit. Industry standard mounting brackets for some vehicles may require trimming of plastic air-dam or opening of tow hook access.